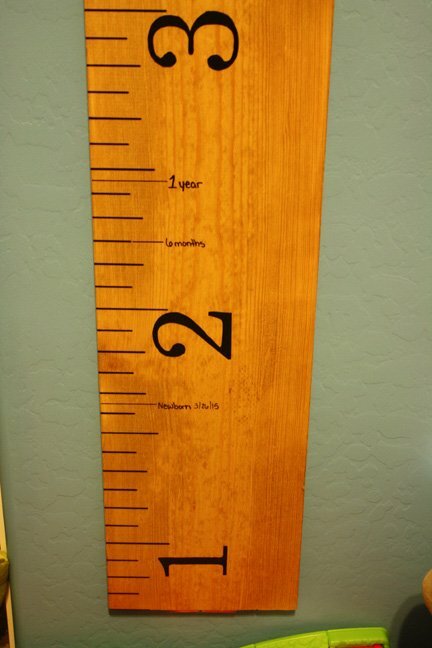 A growth chart ruler is a great project to make for any new parent. It is easy to make, and will be treasured for a lifetime. My original instructions for a DIY Growth Chart Ruler show you how to complete the process with paint. 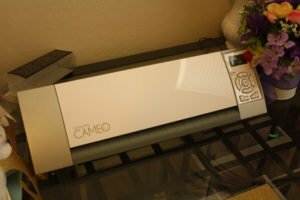 However, if you own a Silhouette Cameo, you can do it another way. is similar to a printer in size, and can be programmed to cut shapes out of paper and fabric. My wife has one of these for her crafting, but on occasion it comes in handy for a woodworking project. sicker material, and then you can simply apply them to the ruler. This method works well for people that already have a Silhouette. Sticky vinyl is a common material, and can be found in many stores. The lines on the ruler can be handled a little differently as well. Instead of masking off and spray painting them, draw them in with a permanent marker and a square. You will need to draw them out with pencil first, as in my original instructions. Then, line over them with a permanent black marker. This can be a little nerve wracking for the first time. Just make sure to line up your square well, and take your time. Draw in the ruler lines, covering over the pencil marks. Once you make it to the end, you are done. 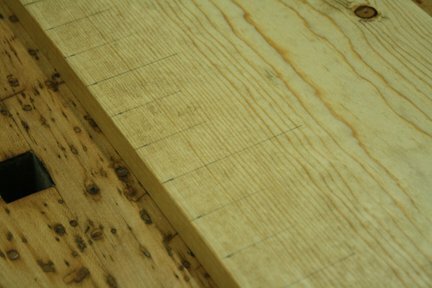 This is a rustic project, so if the lines are not exactly perfect, it will only add to the look. Apply the stickers from the Silhouette to the growth chart ruler. Be careful when placing them, as the vinyl really likes to stick to the wood. If you look online, there are some tricks to applying vinyl using contact paper. It lets you see what you are doing, and place them better. If you are cutting out numbers from vinyl, think about also adding the name of the child. If there are some fancy vine details or shapes/dates you would like to add, they can be cut and applied too. One thing I do recommend is applying a layer of Mod Podge over the vinyl. Most vinyl is very strong, and will stay in place for many years. However, this is a lifelong project, that could be with a family for a century. A little extra assurance is well worth the time investment. Coat the entire surface with a nice layer of Mod Podge, and allow it to dry. Apply a second layer if desired, and allow that to dry as well. This is not just over the vinyl. Make sure to coat the entire face of the growth ruler. Now, the growth chart ruler is ready to hang on the wall, and enjoy for a very long time. I love these rulers, because even if you move, you can take the memories with you. This is far better than a door jamb, or a spot on the wall. 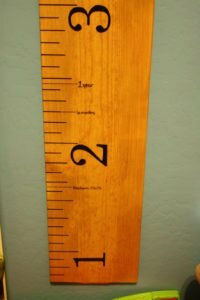 My original instructions for the DIY Growth Chart Ruler are still available, and will show you the entire construction process. The method involves using paint and lacquer, and is very detailed and thorough. If you have any questions on my Growth Chart Ruler with Silhouette, please leave a comment and I will be glad to answer them. Happy building.